Adolescence is a key window of vulnerability for using drugs and developing substance use disorders. The still-developing teenage brain is prone to act on impulse, take risks, and follow the influence of peers. By the time they finish high school, more than two thirds of kids will have tried alcohol and about half will have used illicit drugs such as marijuana or will have abused prescription drugs. Adolescent drug use carries many health and safety risks—including the risk of accidents, contracting sexually transmitted diseases, and life-threatening or fatal overdoses. And a pattern of drug abuse can also prevent a teen from succeeding in social life and school and may harm his or her cognitive development. The fact that their brains are still developing also makes teens particularly prone to becoming addicted. Most people with substance use disorders began using by age 18 and are diagnosed by age 20. Starting to use drugs in early adolescence greatly raises the risks of developing a disorder later. These hard facts about adolescent substance use make it critical to identify and intervene as early as possible—whether or not a teen’s drug use has escalated to the point of addiction. Research shows that early intervention or treatment can prevent years of later problem drug use and keep young lives on a healthy track. NIDA’s guide, Principles of Adolescent Substance Use Disorder Treatment, presents evidence-based treatment approaches, and a set of guiding principles and frequently asked questions about substance abuse and its treatment in this age group. What causes adolescents to try drugs and to become addicted? How does adolescent drug abuse differ from that of adults, and what are young people’s unique treatment needs? How can parents tell if their child is using drugs, and what role can they play in getting treatment if their child needs it? What can physicians do to screen their adolescent patients for substance use, and what should they do to address other issues such as mental health conditions that are frequently associated with drug use? What role can the juvenile justice system play in making sure adolescent offenders with drug problems get help? approaches that have been shown to be effective in treating adolescents. It also discusses medication-assisted treatments that may be an option with certain individuals and describes services that can support a young person’s recovery both during and after treatment. The guide also includes a list of useful resources to help parents or health care providers locate treatment for adolescents who need help. 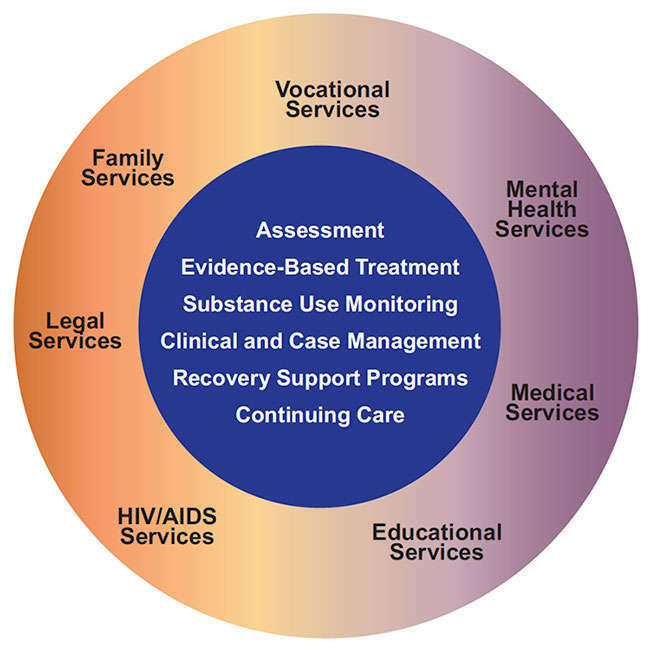 Go to the Principles of Adolescent Substance Use Disorder Treatment: A Research-Based Guide.